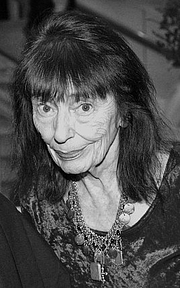 After the publication of her breakthrough novel Harriet Said in 1972, Beryl Bainbridge became one of the grandes dames of British contemporary literature because of her prolific and successful works, original voice, and darkly funny outlook. Her biography, Beryl Bainbridge: Love By All Sorts of Means by Brendan King, was published in 2016. Beryl Bainbridge is currently considered a "single author." If one or more works are by a distinct, homonymous authors, go ahead and split the author. Beryl Bainbridge is composed of 6 names. You can examine and separate out names.